Colorado's rarified air in the Rocky Mountains make for an ideal place to recreate, but it also makes the state a prime place to contract skin cancer. According to the nonprofit Skin Cancer Foundation, at an altitude of 9,000 to 10,000 feet, harmful UV radiation is up to 45 percent more intense than at sea level. Dr. Aaron Lloyd, a dermatologist at Colorado Mountain Medical in Avon, says residents and visitors to Colorado’s high country can be fooled into thinking that because of the cooler weather at higher altitudes they don’t have to worry as much about the harmful effects of the sun. According to the nonprofit Skin Cancer Foundation, for every 1,000 feet above sea level, ultra-violet radiation exposure increases by up to 5 percent. That means that at an altitude of 9,000 to 10,000 feet, harmful UV radiation is up to 45 percent more intense than at sea level. 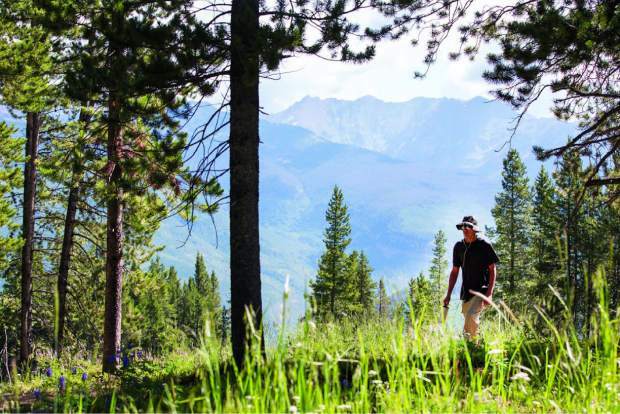 Colorado’s rarified air makes it an ideal place to recreate in Rocky Mountain splendor, but it also makes the state a prime place to contract skin cancer — the most common form of cancer in the United States, according to the Skin Cancer Foundation. In Colorado, it’s estimated there will be 1,640 new cases of melanoma — one of the most dangerous forms of the disease — in 2018. There are different types of skin cancer, with chronic sun exposure over a long period of time on exposed areas like forearms, the face and neck leading to the vast majority of squamous cell carcinoma and basal cell carcinoma, according to Lloyd. Melanoma is more common on areas of the body more intermittently exposed to sun, such as the back, legs and stomach. Everyone can benefit from having their skin checked periodically for irregularities, Lloyd said, although currently the U.S. Preventive Services Task Force that makes colonoscopy and mammography recommendations does not have a recommendation for skin cancer screenings. Get checked if you have moles or blemishes that have changed shape or color and get at least one screening as you head into your 40 and 50s. Also get regular annual screenings if you’re at moderate or high risk for skin cancer, Lloyd advises. Walgreens has partnered with the Skin Cancer Foundation to support the Destination: Healthy Skin mobile education program focused on skin cancer prevention and early detection. A mobile lab is traveling around the country offering free full-body skin cancer screenings in private exam rooms by trained dermatologists. Walgreens pharmacist Susan Barney recommends people apply sunscreen 30 minutes before heading out into the sun, reapply every two hours and don’t even bother with SPF’s (Sun Protection Factors) lower than 30. “Not at this altitude. This altitude, it’s a minimum of 30,” said Barney, who works out of the Walgreens Highlands Ranch store near Denver. Barney marvels at the amount of information now available to people on the dangers of sun exposure — information that’s often ignored. “This is great for people who have more sensitive skin, who use the excuse that they break out and they tend to use the baby one,” Campbell said, adding there are also sunscreens that work great with makeup, such as the No7 Early Defense SPF 30 and the Neutrogena Clear Face, which is SPF 55. Go to Walgreens.com and search sun care or sunscreens to see all the products offered at the drug-store chain, which has a store locally on Sun Road in Avon. Call 970-949-8097. Contact Dr. Aaron Lloyd, a dermatologist at Colorado Mountain Medical in Avon, by calling 970-926-6340.